Fans and followers of Reinach, as well as those working in early phenomenology in general should check out these upcoming Canadian events. Details can be found on the NASEP blog hosted here by OPHEN. Pragmatism & Phenomenology Workshop at King’s University College (Western) in London, Ontario. It runs from 27 – 28 April 2019 and will focus on the women of pragmatism and phenomenology. Along with the call for abstracts is a list of possible female figures for both philosophical movements. Deadline for submissions is 16 February 2019. NASEP Annual Conference at Memorial University in St. John’s, Newfoundland. This event will take place 22 – 24 May 2019. The theme this year is “Early Phenomenology in Context”. Keynote speakers include: Thomas Vongehr (KU Leuven), Smaranda Aldea (Kent State University), and Peter Trnka (Memorial University). Deadline for submissions is 1 February 2019. Sassoon is right, soldiers are dreamers. If they weren’t, ‘the old lie’ Dulce et decorum est Pro patria mori (English: it is sweet and fitting to die for one’s country; taken from an ode by Horace; see also Wilfred Owen) would not be effective propaganda. To convince people that is a wonderful, great honour to fight and die for your country you need them to be the sort that dream of being heroes, dream of a better future for themselves and their loved ones, and dream of victory. Reinach was a dreamer too. In his letters to the Conrads there is constant mention of the future: plans for what he will teach next semester, how he will spend his vacation time away from the front, and speculation that the war will be over soon. The fact he is actively reading and writing philosophy while fighting in WWI is another sign of his dream of returning to being the academic philosophy professor; one day he’d be a retired, decorated soldier who fought in a war where Germany was victorious. Most importantly, Reinach dreamed of what phenomenology could do and be. In a letter to the Conrads dated 10 September 1915 he wrote, “I believe that phenomenology can provide that which the new Germany and the new Europe stand in need of, I believe that a great future lies open to it…” Now, he doesn’t go into further detail, all we can do is speculate what he meant and how and what phenomenology could accomplish, but what is absolutely clear is his optimism that phenomenology IS the answer. 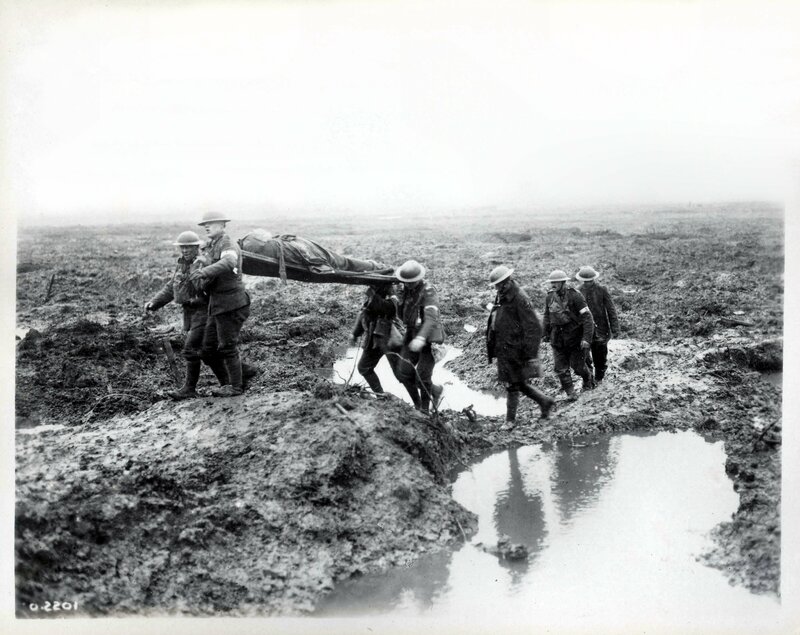 I have spent 2017 talking about ‘Reinach the philosophical soldier’, largely because it was a year that marked the 100th anniversary of his death and battles like Passchendaele (in which he fought). I wish to spend 2018 looking more to ‘Reinach the phenomenologist’, the dreamer. This will entail exploring his phenomenology (published and unpublished works), and analyzing that fragment I quoted above to see if we can figure out what he meant and envisioned for phenomenology. 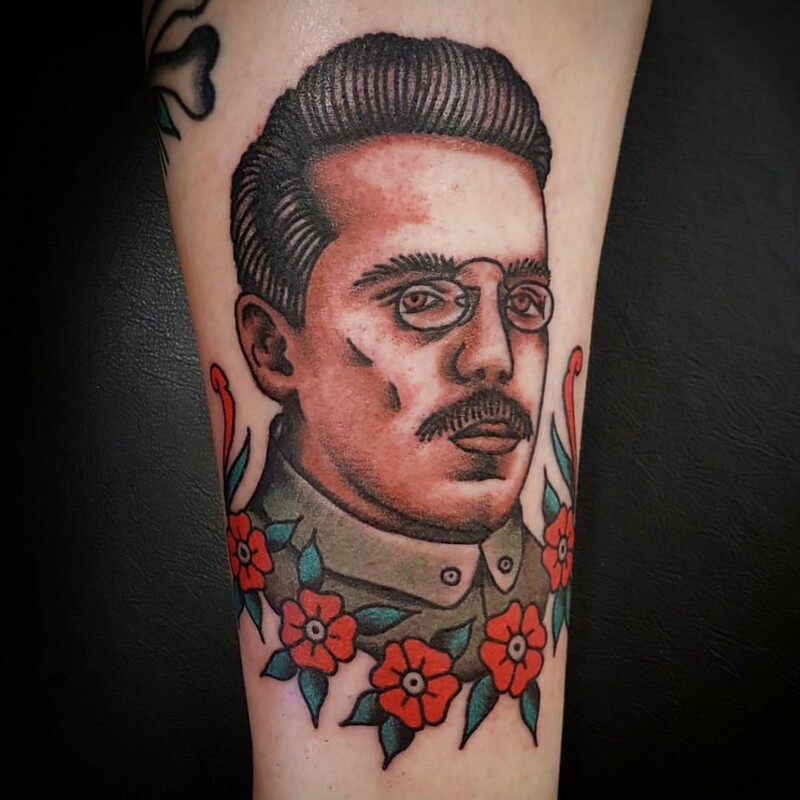 The last act in memoriam for Reinach I did in 2017, after I returned from Belgium, was to have his likeness tattooed on my leg. A memento mori, if you will, acting as a corporeal anchor fixing the memory (and here the philosophy) of the person lost. For more on memento mori, see my good friend and brilliant tattoo scholar Gemma Angel’s Blog. Over the 19 years I have studied Reinach I have spent almost as much time getting to know him personally as I have philosophically. He is more than simply a scholarly study for me; I am fond of him as a friend would be. Hence, it is only fitting to mark (figuratively and literally) the impact he has had on myself. My Reinach tattoo was done by the very talented Dustin Barnhart at Berlin Tattoo in Kitchener, Ontario. He took the few images of Reinach I had and created this wonderful old school piece. I’ll update this post later with a photo of the tattoo healed. First and foremost, Adolf Reinach was a philosopher in every sense of the word. He discovered Plato while at grammar school and was immediately gripped by the content and style, and it was then he decided on his course of study at university. The analysis of words, expressions, and meaning was very much essential to his approach on any topic. Philosophy informed his other university studies, those being law and psychology. His 1905 PhD dissertation was titled ‘On the Concept of Causality in the Criminal Code’, and it explored the relationship between psychology and law while attempting to tackle the problem of knowing the intentions of law-makers when we only have their words to go by. First a student of Theodor Lipps and later Edmund Husserl, he became a phenomenologist (simply put, a philosopher who seeks to investigate and understand the structures of consciousness and in relation to our experience of the world around us). 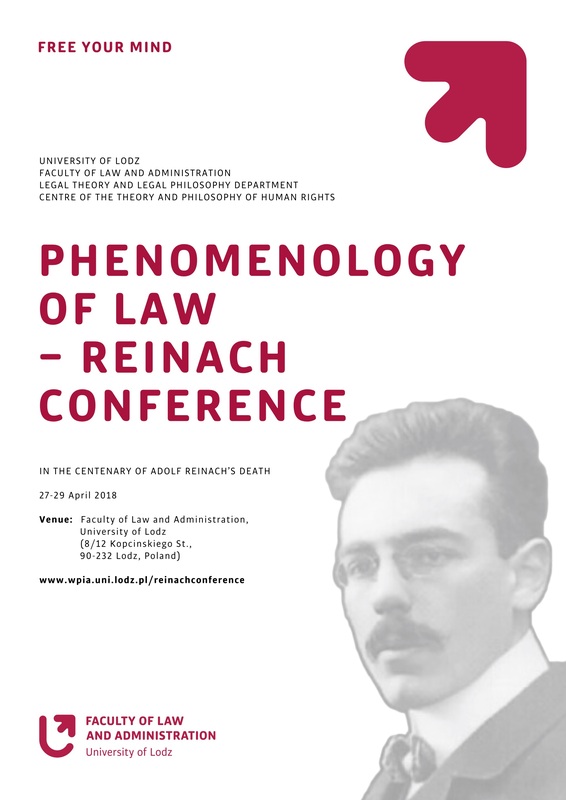 Here, Reinach utilizes both Plato and Aristotle, and his philosophy becomes elevated: phenomenology provides him with the tools for describing experience, as well as a method, and he sees the door open to a world of entities – social acts like promises, jurisprudence, ethics, etc. He lived this love of Plato and Aristotle right to the end of his life, on this day in 1917.
in me a world ascends, for a long time, long immersed in anything but the suffocating activity of the soldier in war. What are proper forewarnings? … Whether forewarning carries justice or truth in itself, I do not have the means to say; it is impossible to say before I know what its proper essence is…. However, already the desire of the phenomenologist is awakened in me, to single out from the fullness of the appearance the structure, to hold it, to let it sink in and with it, what so far only the word meaning was acquainted with, henceforth it is to achieve intuitively the essence itself. Through the rough notes, he develops some characteristics of forewarning: 1. It occurs suddenly and abruptly, 2. It has certainty and necessity about it, 3. In relation to the last point, one is helpless and cannot control their demise, 4. The experience is very detailed and specific, and 5. It is individual, personal and unique, and thus it is not accessible to others. It’s worth noting, in a sort of dark irony, Edith Stein remembers Reinach referring to his closest circle of friends that included herself as “mourners in the first rank” when he visited home on furlough for Christmas 1916. It often makes me wonder if he had a forewarning of his death. To be judged quite differently … is a perception in relation to knowledge of actuality insofar as the latter must always refer back to the perception for its verification. There is, after all, even in the perception a taking-as-real, though not an actual knowledge. Quite otherwise is the taking-as-reality in feeling oneself sheltered by God; logically speaking, the former is the presupposition for the latter. However, no one would draw a logical conclusion from this. It is rather immanently contained in the sense of the experience itself. Here we must separate two aspects: on the one side the knowledge of the being-sheltered, and on the other side the knowledge of the being-there of God, i.e., immediate and mediate immanent knowledge. When one feels sheltered by God, that knowledge is verified in every moment of feeling ‘being-sheltered’ and is not something that can be called objective knowledge: being-sheltered cannot be known or understood apart from she who experiences being-sheltered; it is a kind of knowledge that only can be known (in the strictest sense) by the experiencer. Hence, like forewarning, the experience of being-sheltered by God is subjective, an individual knowledge disclosed through the feeling of being-sheltered in which I experience myself as in a relationship with God. Not only do these notes help shed light on Reinach’s incomplete discussion of forewarning, but they also help one to understand his religious conversion. 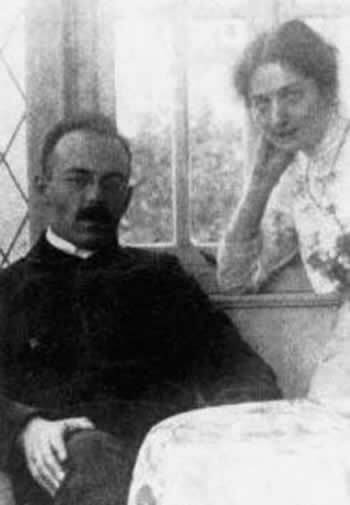 During furlough in 1916, Reinach along with his wife converted from Judaism to Protestantism. When reading his explorations and descriptions of being sheltered by God, I cannot help but think that this feeling he describes so beautifully is what got him through his days on the field in Passchendaele and other difficult battles. Until war, there was no mention of religion or God in any of Reinach’s notes. In a letter to his good friends, the Conrads, Reinach said: “I believe that phenomenology can provide that which the new Germany and the new Europe stand in need of, I believe that a great future lies open to it…” and while the exact meaning he had in mind isn’t known, one can see his passion for philosophy and his faith that it could help aid in the post-war rebuilding and mindset. The second important thing to know about Reinach was that he was a good man, well-respected and adored by all who knew him. In his eulogy for Reinach, Husserl wrote that German philosophy had sustained a severe loss with the death of Reinach, and we see phrases of high praise like “what a wealth of brilliant ideas were at his disposal” and that his writings contained “a wealth of concentrated insights and worthy of the most fundamental study.” Reinach was Husserl’s student, colleague and dear friend, and sometimes his peacemaker. Husserl could be a strong personality at times. One instance of this happened during WWI, when there was a dispute over a manuscript written by Hedwig Conrad-Martius that Husserl took issue with. Hedwig wrote to Reinach on the field about the squabble, and Reinach set to work settling it, and over the course of a few months and some letters to both parties, the issue was resolved peacefully. When you read the words of his students, the most notable example being Edith Stein, you can feel how much they admired and respected him. Many times Stein says in her incomplete autobiography that the moments spent in Reinach’s study speaking with him or in his seminars were, “impossible to express how much joy and gratitude I felt.” It is important to also note that Reinach supported and encouraged his female students, at a time when many male professors were not in favour of women matriculating and attending classes at university. His respect for women was definitely a part of his core personality and present from an early age, but I also believe his wife, Anna, had some influence here as well. She was a brilliant, well-educated woman. In 1899, she was one of three female students of the newly founded Stuttgart Mädchengymnasium, graduating with a high school diploma in 1904. In that same year, by royal decree, women were granted the right to regular enrolment at University of Tübingen, and she earned her doctorate there in 1907 with a thesis on the spectral lines in magnetic fields in atomic physics. The Reinachs were described by students like Stein as a loving, warm and intelligent couple with a home that was always welcoming. 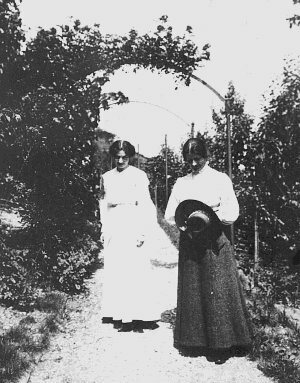 After Reinach’s death, Edith and Anna became very close friends. Because of Anna’s great strength and faith after losing her husband, Edith credits her largely for her own conversion to Catholicism. The last thing I can say about Adolf Reinach is that he was proud, maybe to a fault, but nonetheless proud to be a German. 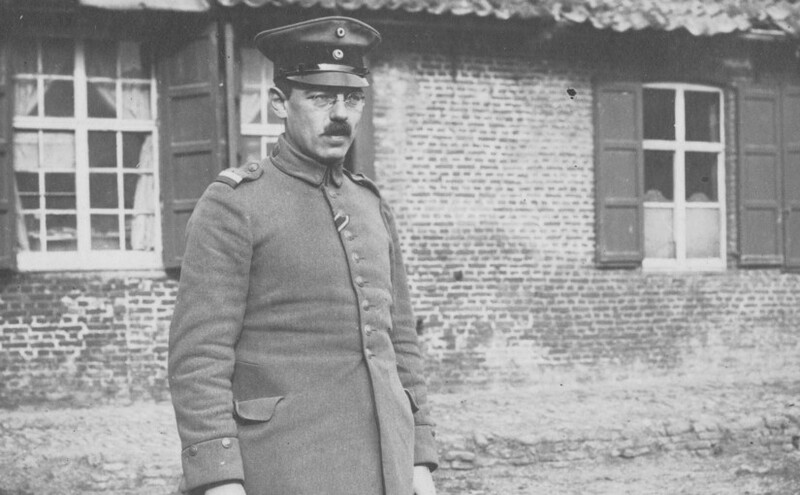 He and so many German intellectuals immediately volunteered for the army with great enthusiasm when war was declared, even attempting to exercise pressure to be admitted as quickly as possible. In a conversation with Edith Stein and Fritz Kaufmann about his enlistment in the army, Adolf Reinach said, “it is not that I must go; rather I’m permitted to go.” When he was awarded his iron cross, he describes it as the proudest moment of his life and, especially when taking into consideration the difficult times and near-death experiences, it grew more in meaning for him. He was proud to serve his country, even when the things he witnessed were horrific and painful. He witnessed some of his students die in battle, along with thousands of other young talented men. Most letters express a hope that the war would be over soon, and hints of his struggle to survive both mentally and physically. However, he maintains that Germany must win. In his letters, there is also often surprising optimism, and we see this in his desire to return to classes, making future plans for trips, and of course plans to see his friends again soon. I can only imagine, had he survived the war, that what happened in Germany with the rise of Nazism would have disappointed and hurt him greatly. To see your beloved country adopting an ideology that describes Jews as Non-German and a like plague spread by rats is a slap in the face to your personal identity, your honour, and sacrifices. In the war itself he devoted his powers with never failing willingness to the fatherland. But his religious disposition was too deeply afflicted by the monstrous war experiences for him not to have had to venture an attempt at the time of a relatively quiet service at the front to develop his conception of the world (Weltanschauung) in the philosophy of religion. I understand that he in fact made his way to clarity satisfying to him: the enemy bullet struck one who was composed, fully in agreement with himself and God. 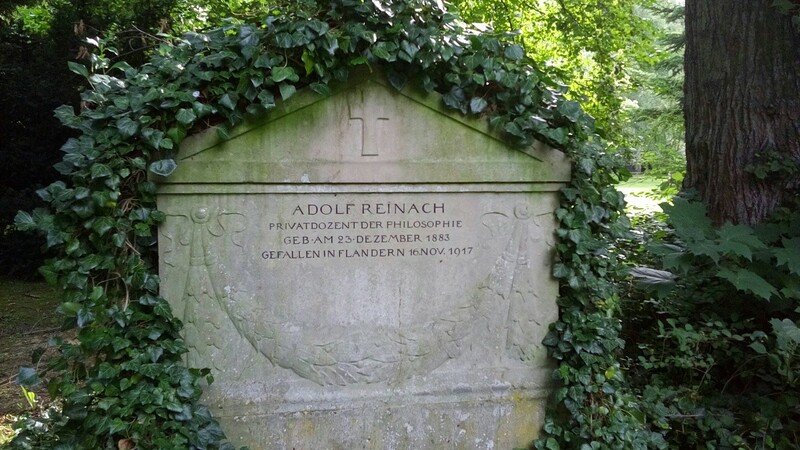 Thank you very much for being here with me to celebrate the life (and death) of Adolf Reinach. 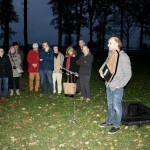 100 years ago today, there was a small and quiet funeral service held in the Göttingen City Cemetery for Adolf Reinach. It was attended by his widow, Anna, and his closest friends and students, namely Edith Stein (who was also representing Edmund Husserl) and Dietrich von Hildebrand (who gave the eulogy). 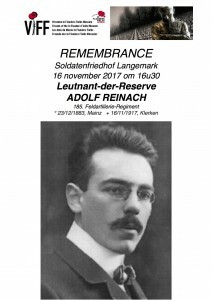 The death of Reinach on 16 November 1917 in WWI and this New Year’s Eve funeral event were described in a letter by Stein to Roman Ingarden as difficult days that “have left me incapable of happiness. At the top of the list of all the things that presently depress me is the fact that I lack the strength to keep my sorrow to myself…” (Self-Portrait in Letters: Letters to Roman Ingarden, p. 88) While his death affected her terribly, it was the steadfast faith in God that Anna exhibited during her grieving that positively affected the course of Stein’s life. Shortly before her own death in 1941 or 1942, Stein told Johannes Hirschmann, a German Jesuit working in Holland, that it was witnessing Anna’s faith in the months after Adolf’s death that ultimately led to her decision to convert to Christianity. It is quite amazing to think that both Reinachs were able to exercise such an incredible influence on Stein and in deeply life-altering ways: one academically, and one religiously. When you read the words of Stein, and also von Hildebrand, Ingarden, and Husserl you can feel how much they respected and admired him, and the profound sense of loss they felt when he died. The published and rough writings convey clearly what a brilliant mind Reinach had, but the sentiments and descriptions of those closest to him tell the story of his character and heart. He was a good man. 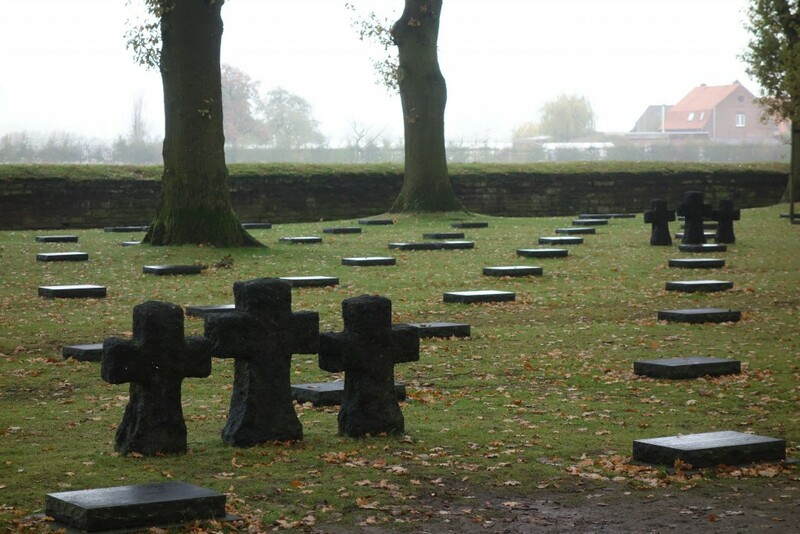 As I mentioned in a previous post, the Friends of Flanders Fields Museum invited me to hold a remembrance for Adolf Reinach in the Langemark German Military Cemetery on 16 November 2017. Given that I have studied Reinach for nearly 19 years now and that, like his students and friends, he has influenced my academic life in manifold ways and I have come to adore him, I happily and with the greatest sense of honour accepted the invitation. 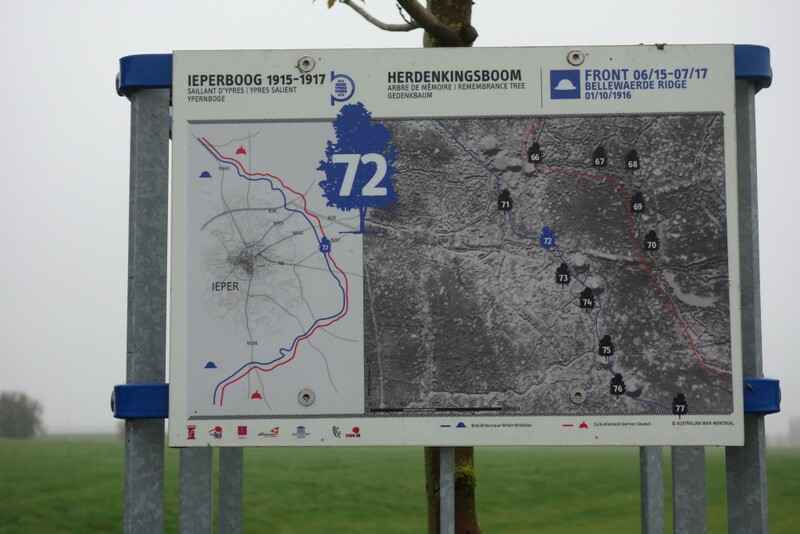 Pieter Trogh, my colleague and friend at the Flanders Fields Museum, set about planning the service particulars, such as the advertisement, invitations to important people, and translating my text into Dutch for the pamphlet attendees would take away. He felt that holding the ceremony at the cemetery at 4:30pm, around sunset, would be fitting. We crossed our fingers tightly that the weather would behave. 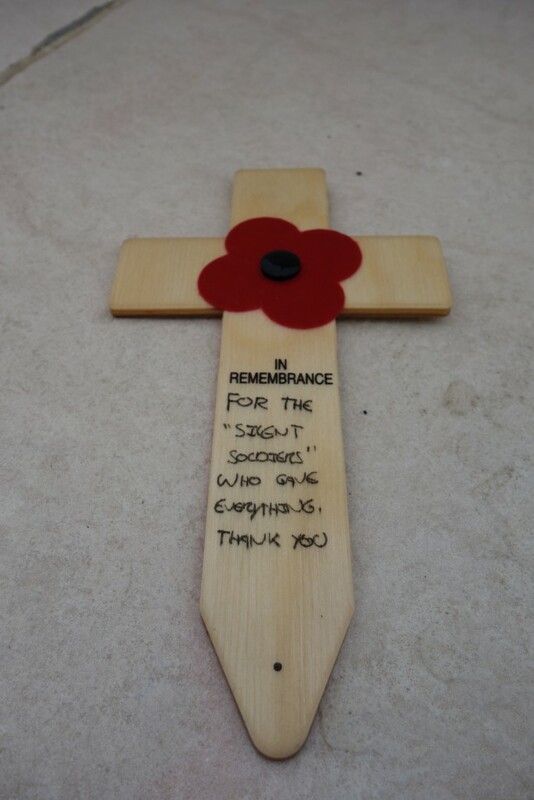 Pieter and I were also of the same mind that this remembrance should not have a playing of the Last Post, since that’s British and very military, and thus not appropriate for a German soldier who was an academic first and foremost. 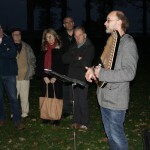 Luckily Pieter has some very talented and creative friends at the Flanders Fields Museum, and one such fellow – Dries Chaerle – agreed to play a lovely German folk song by Friedrich Silcher called “Morgen muss ich fort von hier” on an autoharp. I was told that after the remembrance it is tradition that you gather with the Friends of the Flanders Fields Museum at a small local pub for a drink. The day of the remembrance Pieter and I spent the morning and early afternoon traveling around the Ieper Salient to cemeteries and battle sights. The weather couldn’t have been better – sunny and not too windy or chilly. 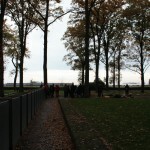 We drove over to Langemark with some colleagues from the museum, and upon arriving noticed that the cemetery was somewhat busy, there were small groups walking about and then several landscapers using leaf blowers. We began the ceremony at a far corner of the cemetery to get away from the noise, the landscapers had a contract and couldn’t stop until dark. 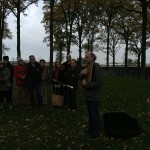 There were about 20 people there, most were members of the Friends of Flanders Fields, and then a few colleagues from the museum and someone from the Municipality of Langemark-Poelkapelle too – a bigger crowd than I expected, and they were such lovely, warm people. 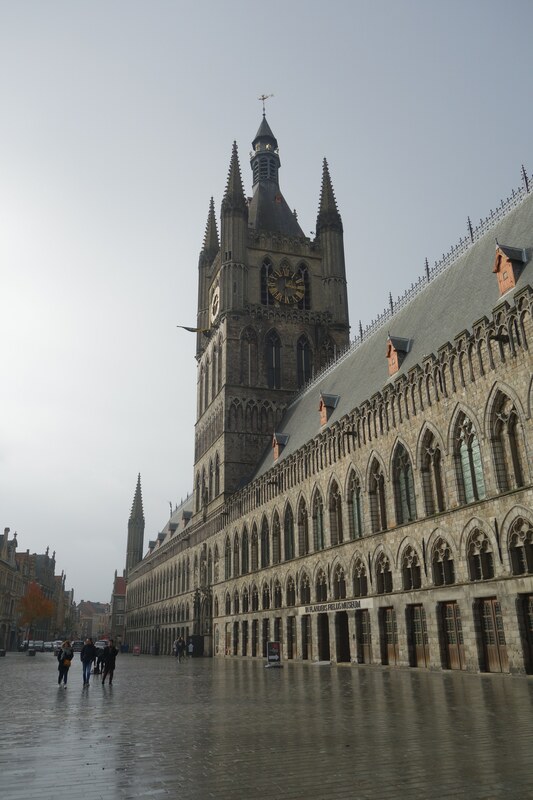 The head of the Friends of Flanders Fields Museum spoke, then Pieter read a letter from the German Ambassador in Brussels (he couldn’t attend but sent some lovely remarks about Reinach) and then he introduced me. I spoke about Reinach for roughly 10 – 15 mins, a mix of some philosophy (keeping it light for a general audience), some bits from Reinach’s battlefield letters, and some comments from Stein and Husserl about his character. I really tried to demonstrate to the crowd why I find him so important and worthy of 19 years of study. (I will share my laudatory speech in a future blog post.) 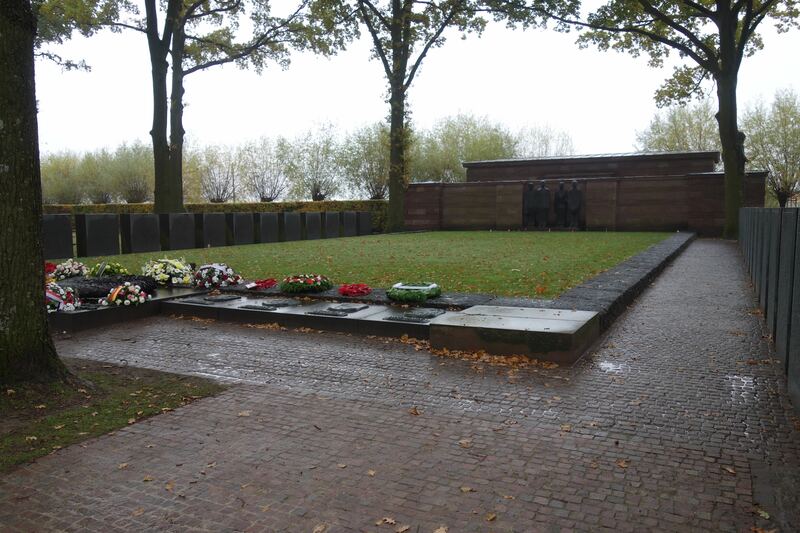 With the leaf blowers now working far enough away, we walked over to the Comrades Grave (where his body is said to be, according to the Volksbund Deutsche Kriegsgräberfürsorge), near the Nachtrag stone where Reinach’s name is listed. Dries spoke a few words about the Silcher song, and then performed beautifully. 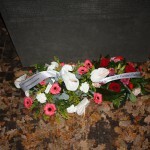 Pieter and I then laid some wreaths together at the foot of the Nachtrag stone, one from the Friends of Flanders Fields Museum and one from the Municipality of Langemark-Poelkapelle. Then we concluded the remembrance, chatted a little and shook hands with everyone, and headed over to the pub to warm up. 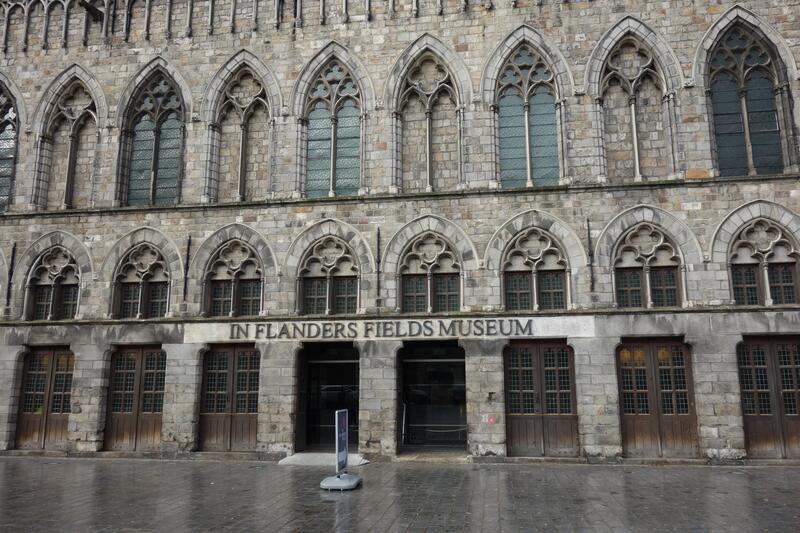 It was a wonderful event and I am so grateful to the Friends of Flanders Fields Museum and my colleagues/friends at the Flanders Fields Museum for their efforts and willingness to have this remembrance. Reinach remains celebrated and adored 100 years later. I think Anna, Stein, von Hildebrand, and the others would be happy to know their dear Reinach is not forgotten. If you are in the Flanders Region of Belgium, please feel free to come out for this special remembrance of Adolf Reinach that I am hosting with the Flanders Fields Museum. 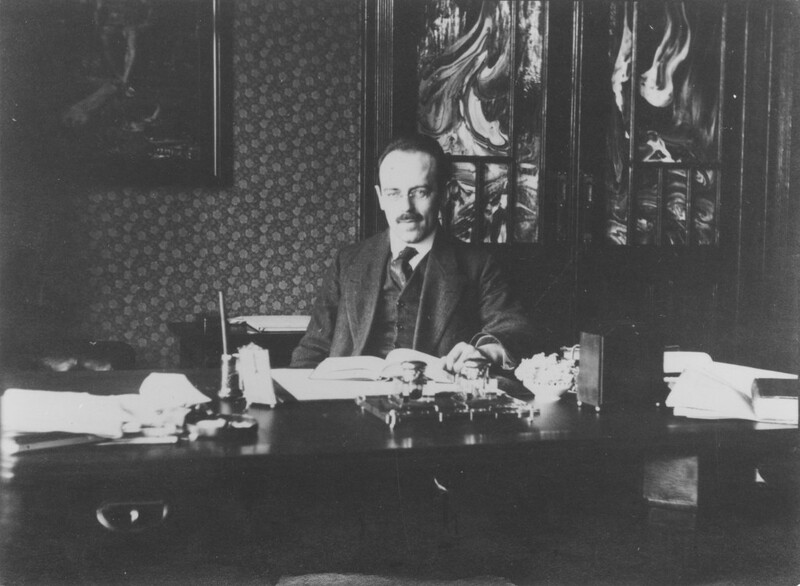 Adolf Reinach vor seinem Schreibtisch sitzend (Göttingen). Photo courtesy of Bayerische Staatsbibliothek München/Bildarchiv. One thing I have found about researching Adolf Reinach is that things are never dull; I could be reading an article of his for the 20th time and suddenly notice something I hadn’t before, or I find a rough note or a letter that isn’t translated yet that deserves to be, or some new story about his life surfaces. I’ve learned to be flexible – Dead people can hold a lot of secrets and surprises! Some have mysteries …. 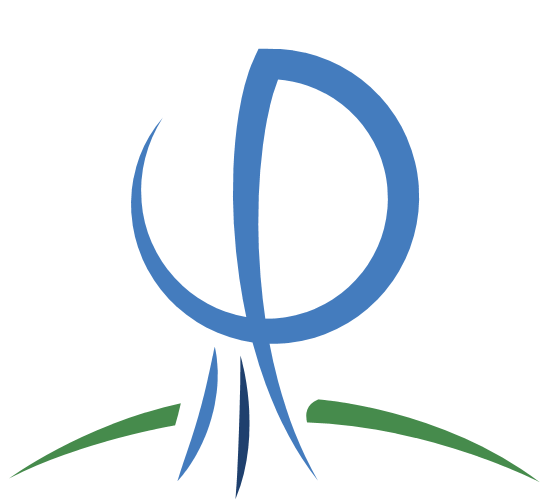 After my recent Passendaele post, I was contacted by a very kind German woman who is associated with the Edith Stein Society (thank you, Mary!). She had read my post and had a very interesting story to share with me. 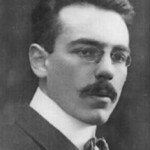 According to Edith Stein and Dietrich von Hildebrand, Reinach’s body was returned to Germany in December 1917 at the request of his widow, Anna. 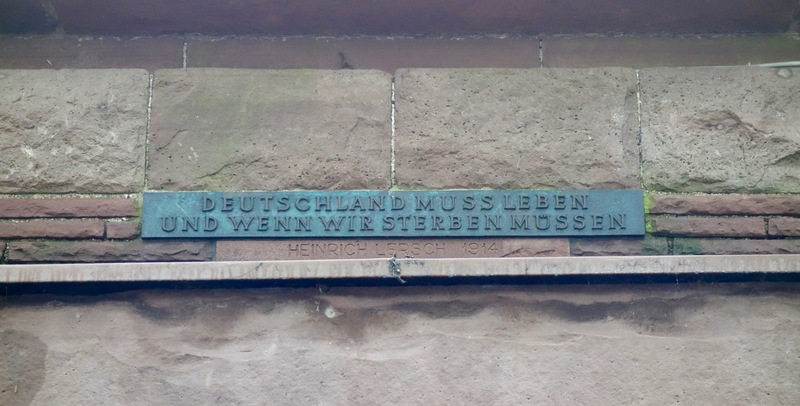 There was a small, quiet funeral service held on 31st December 1917, attended by Stein, von Hildebrand, Anna, and a few others, at the Göttingen City Cemetery. Stein was asked by Husserl to represent him, and von Hildebrand gave the eulogy. 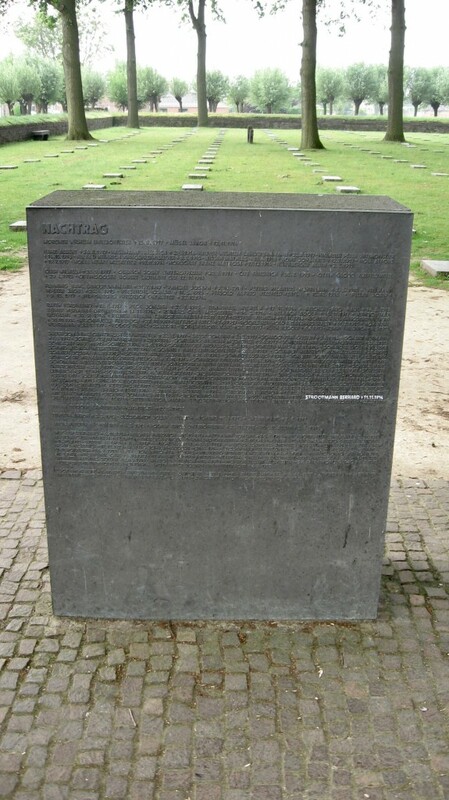 The grave stone was designed by Adolf von Hildebrand, Dietrich’s father who was a famous sculptor and author. Reinach’s grave in the Göttingen City Cemetery. Photo taken by Mary Somers Heidhues. I was completely surprised by this detail, as you can imagine. When I went in search of this story, I found confirmation in a footnote in the book Edith Stein Letters to Roman Ingarden, but prior to this I had never heard this story (in the nearly 20 years I have spent studying Reinach). 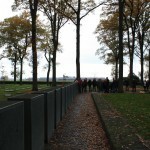 The biographical details I had read by Barry Smith, Karl Schuhmann, and then Eberhard Avé-Lallemant mentioned the date he died on the battlefield but never where his body was buried. This has created a very interesting situation, since Reinach’s body seems to be in two places. Where actually lies Reinach’s body? 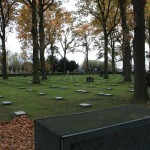 The Volksbund Deutsche Kriegsgräberfürsorge (German War Graves Commission) records show that he is in the Kameraden Grab (Comrades Grave) at the Langemarck German Military Cemetery (as I described in a previous post and with photos) and then there is this personal story of his students that he is buried in the Göttingen City Cemetery. 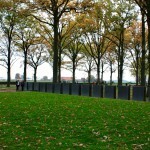 Where will I visit to place my flowers in remembrance? I might go to both places, just so I’m covered. Kameraden Grab at the Langemarck Military Cemetery. Photo taken by Edouard Jolly. So, my first step was to email the Volksbund, relay this story to them, and see if they can find any paperwork on the repatriation to Germany (and to in the very least to make them aware of this issue). I am waiting on their response still. 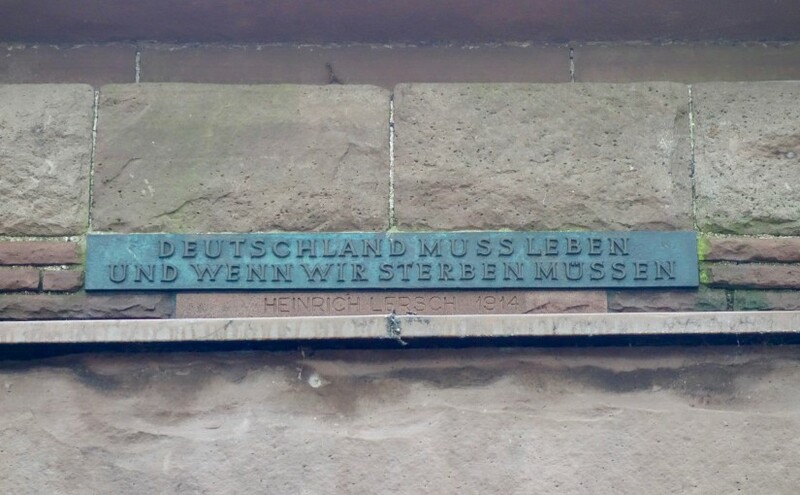 I contacted a friend at the military archives in Freiburg, and he told me they have no record of it – to email the Volksbund. When I relayed the contents of my email exchange to my colleague Pieter at the Flanders Fields Museum, he was also surprised. 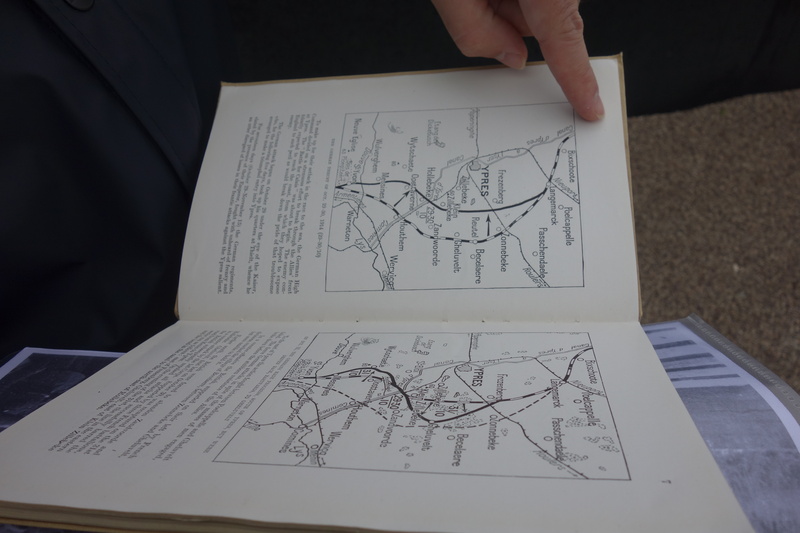 He told me that if the Volksbund could find the paperwork, it would also give us other details, such as where he was killed exactly and possibly where he was first buried. The other source of Pieter’s surprise concerned the repatriation itself: it was not very common that bodies were repatriated, and definitely not common during the war (Reinach’s body would have been moved while the war was still ongoing). He told me that the Commonwealth Graves Commission commemorates as close as possible to the spot of death, and the French had a law voted in 1920, to give families the choice to repatriate the bodies of their beloved to their place of origin, but for the Germans (as far as he knows) there was not such a regulation. If Reinach’s body was repatriated, the only reason we both can think of is the influence and network of Edmund Husserl. For example, when his son, Wolfgang, was injured in battle in 1915, Husserl was able to go visit him in the hospital at the Western Front. This was not a common thing, but a privilege awarded to few. It stands to reason that Husserl would have used his influence to have Reinach returned home, since he was a brilliant student, close friend, and a phenomenological colleague. Even with their theoretical differences, Husserl treated Reinach and his wife like family. 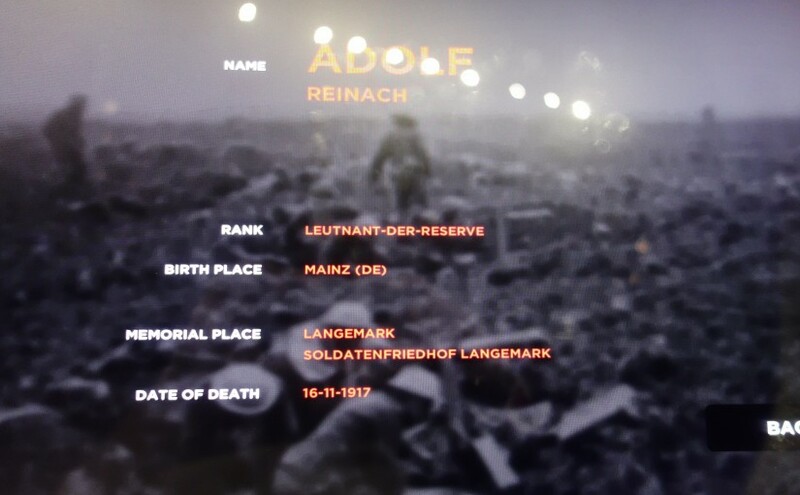 With my commemoration of the 100th anniversary of the death of Reinach coming up this November at the Flanders Fields Museum, I can only hope we find the answer to this mystery. I am hopeful, but with so much regimental and military records lost during WWII I may never have the absolute confirmation I want. 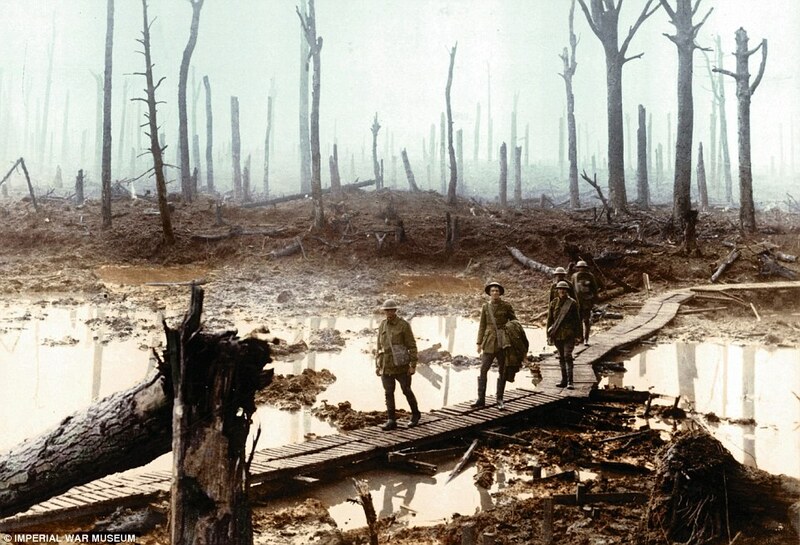 Today, 31 July 2017, marks the 100th anniversary of the start of the Third Battle of Ypres, also known as Passchendaele. This morning descendants, dignitaries, and royalty gathered to mark the occasion of a battle that lasted 103 days and while the exact number of total casualties is still debated we can surmise it was over 400,000 (see G. Sheffield, and R. Prior & T. Wilson). 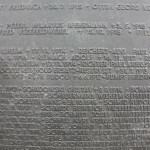 Reinach was at Passchendaele, fighting as a soldier in the field artillery of 185th Regiment. It would be his last battle, he died 6 days after it ended. There are no letters from him during this time to Husserl or his best friends, the Conrads, so we don’t have a record of his experience or feelings from this battle. However, the one glimpse we do have into his state of mind comes when we look at the philosophy he was writing during Passchendaele: specifically, rough notes under the heading Bruchstück einer religionsphilosophischen Ausführung (Fragment of a Treatise on the Philosophy of Religion) titled Das Absolute (the Absolute), Struktur des Erlebnisses (Structure of Experience), and Skeptische Erwägungen (Skeptical Considerations) (Sept/October 1917). I will also note that he expressed a desire to lecture on this topic, the philosophy of religion, when he returned from the war. In summary, Reinach explores and describes phenomenologically the feeling and the knowing of the presence of God, what the structure of that experience might resemble, and how to respond to those who doubt the validity of the experience. I will return to these notes in greater detail in a later blog post, since I am working with them at the moment for an article on Reinach and Gerda Walther, but I have to admit that I have wondered if he possibly had a mystical experience on the field (there are plenty of ghost stories and uncanny experiences documented by soldiers), or if the horrors and brutality of WWI (and particularly the blood-and-mud of Passchendaele) were weighing very heavily on his mind. In 1916 he converted to Protestantism with his wife, Anna, so considerations about God and religion were already active in his thinking. But the timing of these notes is very telling, I think. The tone of these notes is also very special in that they are very phenomenologically poetic and deeply moving. Reinach is, as usual, the skilled phenomenologist in his descriptions, but there’s something more going on. When I read them, I see a man who is searching for joy and beauty in a world that is exploding in front of him, and, at the same time, rekindling the creative spark of a profoundly meaningful life endeavour that he had before enlistment — doing phenomenology. He once told Conrad-Martius that he believed phenomenology was what the new Germany and the new Europe needed after the war ended (letter dated 10 September 1915). Phenomenology was a saving grace for him, and for the continent. In these final fragments it is clear that ‘Reinach the soldier’ would always and forever be ‘Reinach the realist phenomenologist’. To begin to understand what Reinach witnessed and participated in, I would like to include in this post some videos. As you watch, think to yourself what it would have been like to be an academic like Reinach, or many of his Munich and Göttingen colleagues who enlisted, fighting in a war as a soldier far away from your desk and classroom. What impact would this have on your philosophy? 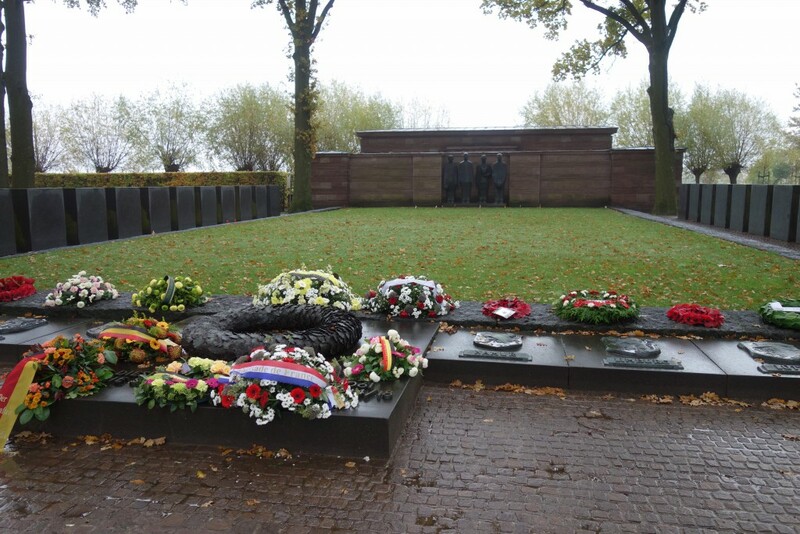 Remembrance Day 2016 I landed in Brussels very early on a rainy, dark morning. I made this journey to Belgium expressly to see the Flanders Fields Museum in Ypres, and finally meet up with my colleague who works there, Pieter Trogh, and to finally visit Adolf Reinach’s grave. Since the summer of 2015 I had been helping Pieter with information and materials on Reinach (and other early phenomenologists when possible) for an exhibition they would hold in 2016 titled ‘The War in Writing‘. 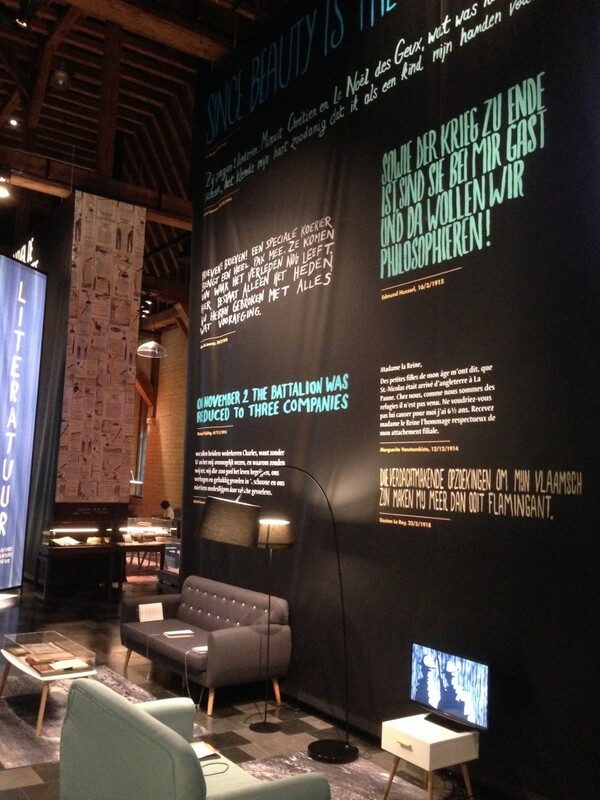 This exhibition would highlight the ways people dealt with the experience of war through writing: letters, diaries, poetry, literature, but also afterwards, through official histories, regimental histories, critical reflections or pamphlets, and so on. This included the works of writers, poets, artists, philosophers, and journalists of different nationalities. In my case, Pieter was looking for written accounts by Reinach and other phenomenologists of war experience, reflections, and any philosophizing that happened on the battlefield in Belgium. It was a real pleasure to work with Pieter on this project, and it was wonderful to have the chance to meet him and tour the Ypres Salient with him as a guide. The permanent WWI exhibition is breathtaking in its detail, scope and artifacts. It’s also highly interactive for the visitor (the poppy bracelet with microchip that enables the visitor to discover 4 personal stories throughout the permanent exhibition is so awesome), and the audio/video components are well done and often griping (for example, the film depicting the accounts of two field nurses and a doctor is as much touching as it is unsettling). 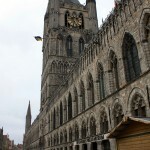 I’ve never seen an exhibition like it and it took me over 3 hours to see it all (including an excursion to the rooftop where the view of Ypres is sensational). 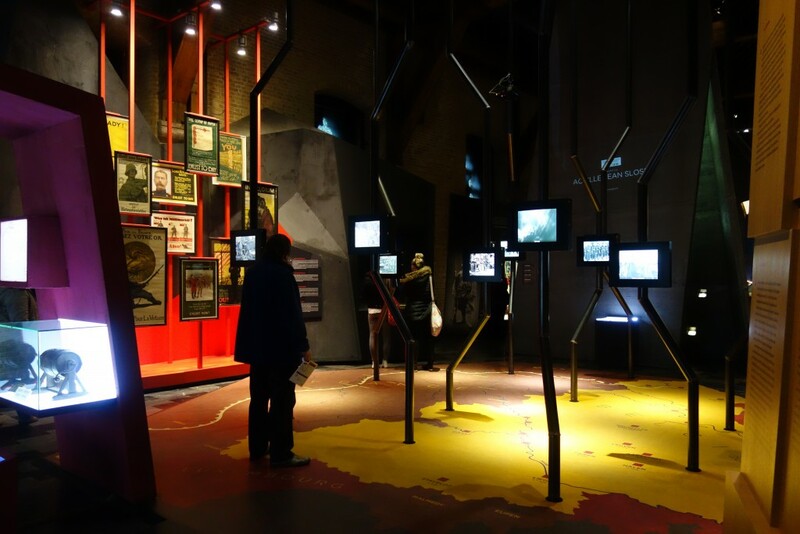 Best of all, this exhibition is available in 4 languages: English, Dutch, German, and French. 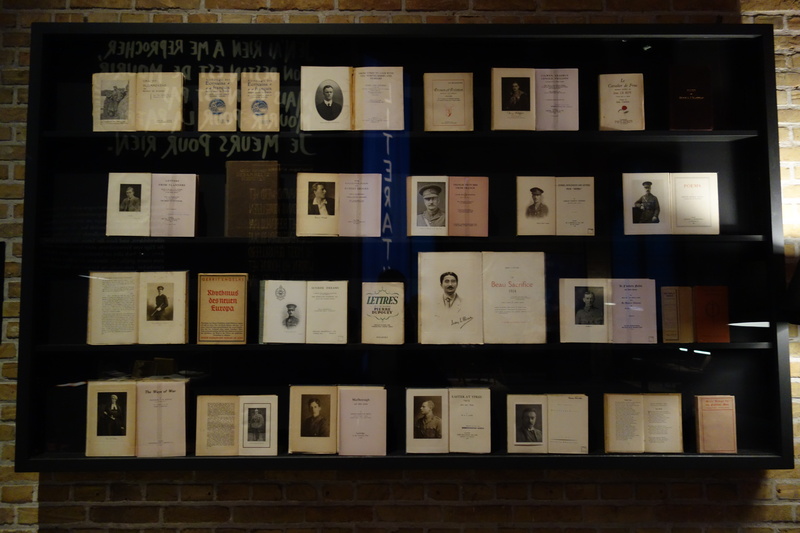 After the permanent part of the exhibition, with its uniforms and weapons and photos galore, you move onto the reading room where you can sit on a comfy chair or couch to peruse the written works of WWI notables such as Sassoon, Blunden, McCrae, and many more. For Reinach, there was a display holding a first edition copy of his Gesammelte Schriften (1921). 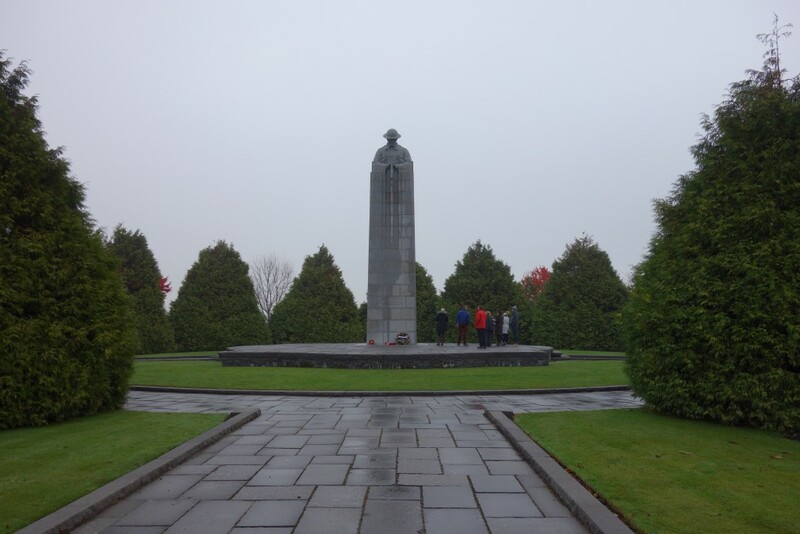 I will add that after we went out and did a bit of touring of the Salient (to St. Julien Canadian Memorial, to see the Remembrance Trees that mark the frontline on Bellewaerde Ridge, etc.) and experienced the pea soup mist and mud, it really brought to life the photos and videos of tanks and soldiers getting stuck (and killed) in the mud on display at the museum. This stuff is epic! This journey with Pieter has introduced me to a whole new world of research. 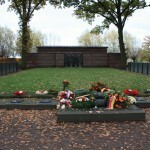 I’ve learned so much about WWI history and German military history as well. 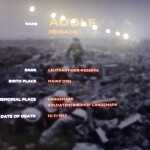 Reinach’s military record has been very challenging to uncover in detail. He enlisted in the summer 1914 in his hometown of Mainz, he was placed in the Reserve Battery of the 21st Field Artillery Regiment of the 21st Reserve Division. He was then transferred to Reserve-Feldartillerie-Regiment 12 on 16th April 1916, and later on transferred to the 185th, in October 1916. With this final regiment he ended up in Flanders, taking part in the Third Battle of Ypres (which came to an ‘end’ at Passchendaele, 12th November 1917). Unfortunately the regimental history of the 185th Feldartillerie-Regiment has yet to be written. 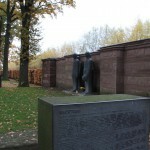 Further complications are encountered when you are informed by the Bundesarchiv in Freiburg, Germany, that since Reinach’s records were Hessen they were incorporated with the Prussian Army, and these were all lost when the Heeresarchiv in Potsdam burnt down during an air attack in 1945. As Pieter noted to me in an email, it’s astonishing how many military records from WWI were destroyed, not just in Germany but also in England during WWII bombing raids – somewhere around 60% of what was preserved in the National Archives in Kew were lost in the Battle of England in 1940. This poses a monumental challenge to anyone working in or researching WWI soldiers and regimental histories. So, what I know up to this point for Reinach are the regiments he was in, thanks to German military historians and private collectors (and his postmarked letters), and then records kept of German regiments and their movements by the British and other Allied Forces. I know now he was killed in Klerken, a hamlet on the outskirts of the Houthulst Forest, outside Diksmuide. This makes sense as he was in the artillery, and they were positioned about a mile or so behind the forest, since it was one of the objectives for the Allied Forces. He was killed four days after Passchendaele, most likely by an allied soldier sweeping out the last remaining Germans from hiding. The record of his death is dated 12 January 1918, found in the German list of dead and missing soldiers. 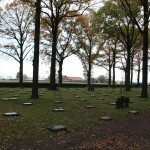 His body was moved to Langemarck German Military Cemetery, placed in the Kameradengraf (mass comrade grave) with approximately 25,000 other soldiers. 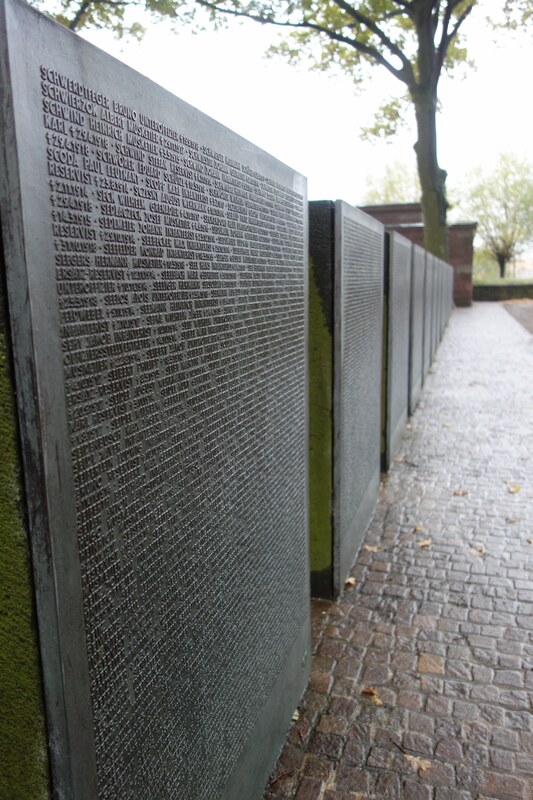 This large space is surrounded by 68 bronze panels bearing the names of over 17,000 non-identified soldiers. His name can be found on a newer panel titled NACHTRAG. I still hold out hope we can complete Reinach’s military record, gaining a full picture of his activities and journey during the war. This would certainly add some additional and much needed context to his letters. This task will no doubt take a lot of time and energy given the obstacles, but it’s worth it. 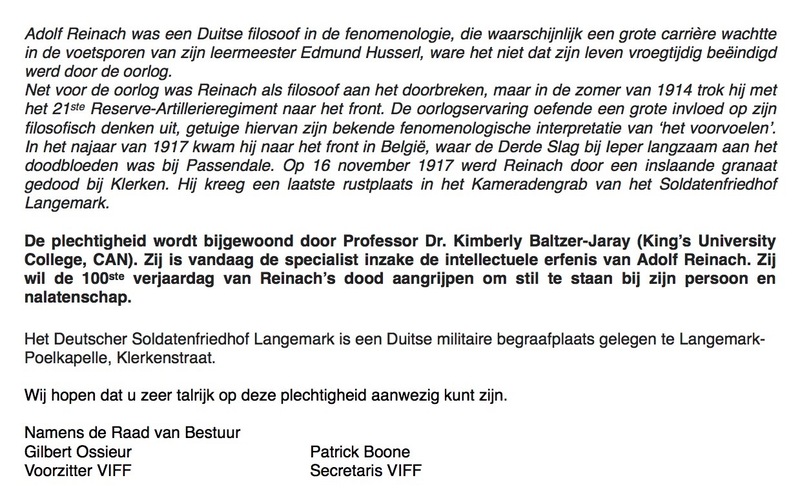 This coming November I have been invited to do a commemoration event at the Flanders Fields Museum for the 100th anniversary of Reinach’s death. More on this as later as details are cemented. 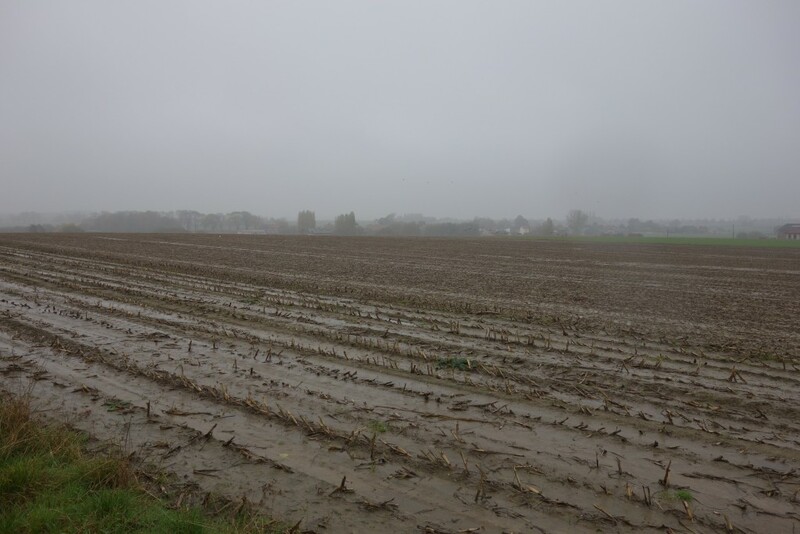 Pieter has also promised me a grander tour of the Salient, more battlefield hopping and education with some Belgian spirits to help warm the bones – I’ll pack my wellies and woolies for sure this time! I must extend immense thanks to Pieter Trogh for his efforts with this exhibition, for asking me to be part of it, for being a fantastic tour guide of the Ypres Salient, and for his friendship. Most of these photos were taken by my good friend, colleague, and fellow WWI history research junkie Edouard Jolly (thank you so much! You took so many brilliant photos it was hard to pick just a few! ), with the exception of the NACHTRAG slab which was taken by the Volksbund Deutsche Kriegsgräberfürsorge, and the photo of the reading room (complete with Husserl quote) were taken by Pieter Trogh, and the old colourized photo of the soliders in Ypres was downloaded from the internet. Happy 104th Wedding Anniversary, Adolf & Anna! On 14 September 1912, Dr. Adolf Reinach wed Dr. Anna Stettenheimer in Mainz, Germany. Anna was a brilliant, well-educated, kind woman. In 1899, she was one of three female students of the newly founded Stuttgart Mädchengymnasium, graduating with a high school diploma in 1904. In that same year, by royal decree, women were granted the right to regular enrolment at University of Tübingen, and Anna seized the opportunity choosing the field of medicine. Shortly after she changed fields to physics, and earned her doctorate in 1907 with a thesis on the spectral lines in magnetic fields in atomic physics, titled “Eine absolute Messung des Zeemannphänomens”. It is interesting to note that her work in physics wasn’t without influence on her future husband’s thinking and research. In 1911 and 1912, she taught at the Stuttgart Mädchengymnasium, as head teacher for the natural sciences (Oberlehrin für Naturwissenschaften) until she married Adolf. After their nuptials, Anna resigned from teaching and while she did take on traditional housewife duties she regularly attended her husband’s lectures and actively engaged with the students. While Anna and Adolf were no doubt always proper and professional in front of students and colleagues, the impression you get from the stories of Stein is that these two were very deeply in love and a good match in intellect, wit and humour. “Adolf und Anne Reinach, Edith Steins Mentoren im Studium und auf dem Glaubensweg” by Beate Beckmann-Zöller in Phenomenology 2005. Volume 4: Selected essays from Northern Europe, Part 1., Hans Rainer Sepp & Ion Copoeru, eds., Zeta Books: 2007.